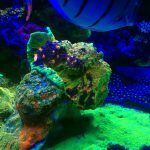 Home / Equipment / Is Ecotech the Apple of the Reef Hobby? OK, I’ll come right out and say that I’m a bit of an Ecotech fan. I have two MP40s, one MP10, and a pair of Radions on my 120g tank. I’ve paid for all of them, so Ecotech has not influenced me directly by giving me any sort of product to write this. Back to the question at hand, is there anyone else in the hobby that sees parallels between the world’s largest company, Apple, and Ecotech? To start, Ecotech focuses on a few products and does them extremely well. 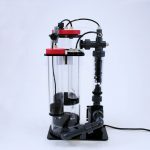 You may like other products better for water circulation and lighting, but the general consensus in the hobby is that these products (subsequent to initial version issues) are workhorses, and with little maintenance they operate unimpeded for years. Second, Ecotech pays attention to things that might not be considered “important”, like product packaging and customer service. Basically, they make the box suit the contents and your experience with the product is paramount to everything else. Although there are a ton of other comparisons to draw, my reason for bringing this up is the asterisk above that accompanies the Marine Depot 24 hour Leap Year sale that was just announced. 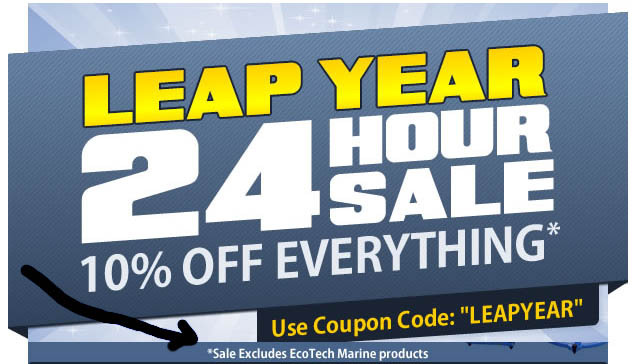 Basically ever single product that Marine Depot carries (and they have well over 4000 product listings) is eligible for a 10% sale with ONE EXCEPTION, Ecotech. What this indicates is that Ecotech exerts incredible control of their product distribution, this is sometimes referred to as “the channel”. Ecotech sets a recommended price and a floor price, and retailers are not permitted to sell below the floor. This ensures that retailers cannot compete on price to the detriment of the product itself. Because of this, you can very easily determine the price for each system they sell as it will be the lowest price and the price that the majority of sellers advertise. Sellers can sell at a price lower than the floor, but they absolutely cannot advertise a lower price and if they are caught selling at a lower price they can possibly lose their right to sell the products in the future. Because Ecotech sets a somewhat high price and enforces the price throughout the channel, it shows that they do not see the need to compete with other manufacturers as the demand must be extremely high to support this type of behavior. These practices are only possible with products that are in high demand. Because of this and their track record for a low number of failures, Ecotech products (glue excluded) maintain their value very well. It used to be that when you bought a tank, as soon as you put water into it the equipment lost at least half it’s value. Who wants to buy some salt covered old pump or skimmer? But a Vortech? Those things get snatched up as soon as they are listed for sale. Part of this might have to do with the fact that most of the Vortech pump sits outside of the tank and thus is not worn down as much as pumps, part of it is that people are indeed fanatical about them and you really can’t have too many. Instead of two pumps running at 75%, why not 4 pumps running at 25%? Increasing the number of flow generating devices in tanks is a good practice as long as you can dial them into the proper amount of flow. Thus, these things are in high demand and people pay top dollar for used equipment. The only major fault I can find in their product design is the ridiculous dependence on colored light to indicate operating modes. Both the Radion and Vortech’s share this problem. I agree that upgrading a pump’s firmware is a rarity, and my pumps are managed by an APEX WXM, but is it too much to ask for a screen showing the mode and current operating conditions? There are now so many modes available that it is a bit difficult to tell what the pump is currently doing. OK, I got my one gripe out of the way, back to the point of this post. So add up the product fan following, their control over all aspects of the sale and use of their equipment, their super tight secrecy around new products, and their ability to sell similar products for close to double the competition? I think you have a good case that they are THE dominant player and innovator in the industry. 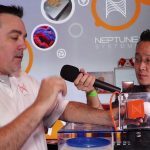 So now the question is, what area of the hobby is ripe for a shakeup and do you think Apple, err Ecotech is interested in rewriting the playbook? 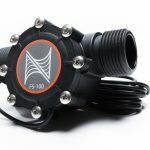 While I agree that Ecotech is a dominant company in the industry and they have developed a pump that is by far more advanced than anything else currently available, I do have to disagree with them being one of the major innovators. The vortechs are great, no argument there, the glue is just glue gel with their label on it not really any different from anything else out there but it does give them a product that generates regular sales (something their other products do not since fragging is a constant and their equipment is really a one shot deal) and the Radion is mostly off the shelf components with some extra functionality but otherwise the RGB LED has been done before and they aren’t the only company producing them with the same diodes. I’m not bashing Ecotech, it’s a great company and I think they still have a lot to bring to the market in the future and I can’t wait to see it but I think the word “innovator” carries a lot of weight and beyond the Vortech, it just isn’t there. 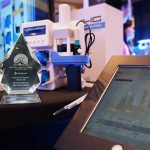 I think there are companies (and individuals) out there that might not have such a large share of our attention that are producing far greater advances in our hobby. If only their software worked natively on Apple OS….. Thank you for mentioning the horrid color coded interface since I’m surprised that it’s rarely mentioned. Color coding is fine if there are only a few choices, but with all their options I can never remember any of the colors, forcing me to bring out the manual if I want to switch modes. A basic one or two line screen would be enormously useful.